Luxury apartments with sea views are located above the Massandra beach. Guests are offered accommodation in one-, two-, three-room suites of the luxury class. To Yalta embankment - 3-7 minutes walk. 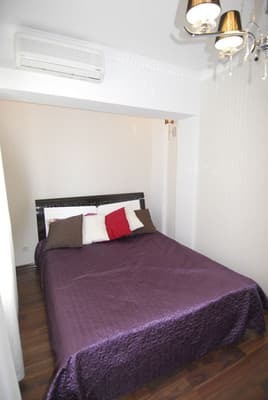 The apartments are fully equipped for comfortable living: air conditioning, hot and cold water without interruptions, equipped kitchen (refrigerator, stove, microwave, kettle, tableware), internet Wi-Fi, parking. This is a spacious apartment with a balcony that is equipped for relaxation. Transport infrastructure in walking distance, as well as shops, cafes, restaurants and textile boutiques. Distance to the bus station in Yalta - 3 km; before Simferopol is 78 km away. PRICES MAY CHANGE, IT IS REQUIRED TO RECEIVE INFORMATION FROM THE OPERATOR. 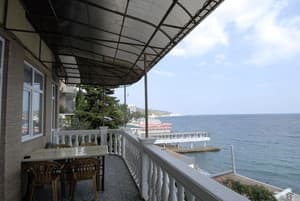 Description of the room: One-room apartment with balcony and sea view. Located in a 2-minute walk from Massandra beach and 4 minutes - from the waterfront. Stylish apartment with designer European style. Built-in kitchen with all appliances, bathroom is combined with a bathroom, air-conditioning system, large bathroom, wide double bed, bed linen, gas boiler, internet, metal-plastic windows. The apartments are located on a fenced guarded territory. 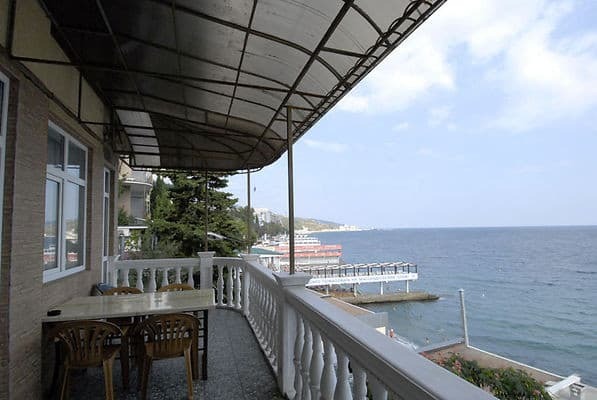 Description of the room: Two-room apartment with sea view, 5 minutes walk to the sea. Design interior, floor parquet, south side. Two separate bedrooms with double beds and one convertible sofa. Bed linen, washing machine. Balcony with sun loungers. Equipped kitchen with kitchenware. There is air conditioning, iron, ironing board. Parking for one car in the courtyard of the house. Near the house there are grocery stores. 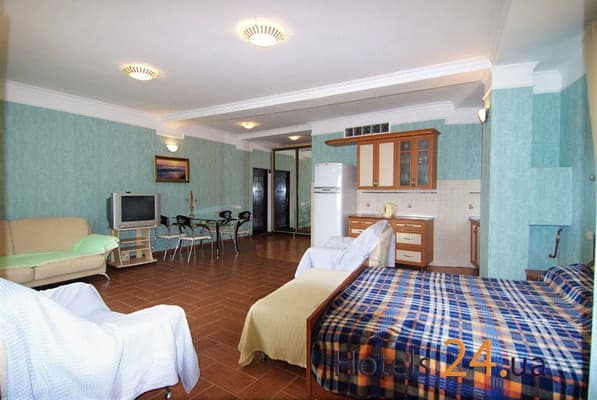 Description of the room: Three-room apartment with sea view, separate entrance. To the sea - 2 minutes walk. On the territory of the house is video surveillance. Two separate bathrooms, hygienic set. Apartment with two separate bedrooms and one communicating room. Kitchen with dining room, your yard, BBQ. Open balcony overlooking the sea and the beach. 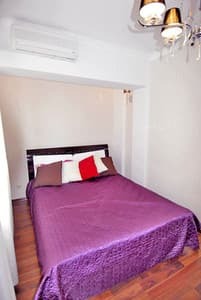 There is a safe, air conditioning, iron, ironing board; kitchen with dishes and all appliances. Change of bed linen every five days. Parking in the street. The apartments are located in the city center, near the beach of Massandra. Distance to the bus station in Yalta - 3 km; to Simferopol - 78 km.